As all this is going on, Amazon is happily selling books that promote Satanism, including a book titled, “Satanism: A Beginner’s Guide to the Religious Worship of Satan and Demons Volume I: Philosophy,” published by “Devil’s Mark Publishing.” You can see the book at this Amazon.com link. 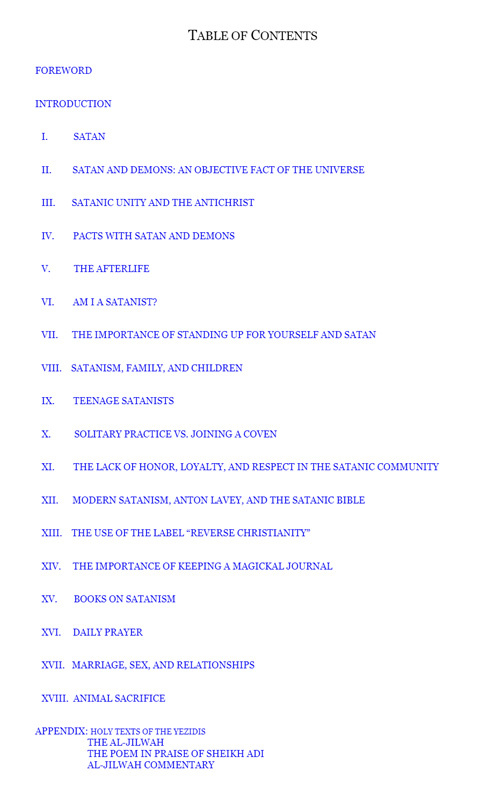 The book specifically promotes “Teenage Satanists” across an entire chapter (Chapter 9). Amazon offers the book at a 73% discount to promote sales, marking it down from $10.95 to the Kindle price of just $2.99. This proves that Amazon.com is happy to sell books on worshiping Satan, but bans documentaries — and soon, books — that dare to teach people the truth about vaccine ingredients, vaccine risks and even deaths that occur from routine immunizations. In other words, the same massive online retailer that apparently claims vaccine knowledge is “dangerous to society” simultaneously believes that recruiting teenagers into Satanism is perfectly acceptable. If this isn’t an example of the pure evil of Amazon and Jeff Bezos, I don’t know what else could possibly qualify. The stunning truth is simple and self-evident: Like all the other evil tech giants — Apple, Google, Twitter, Youtube, Pinterest, etc. 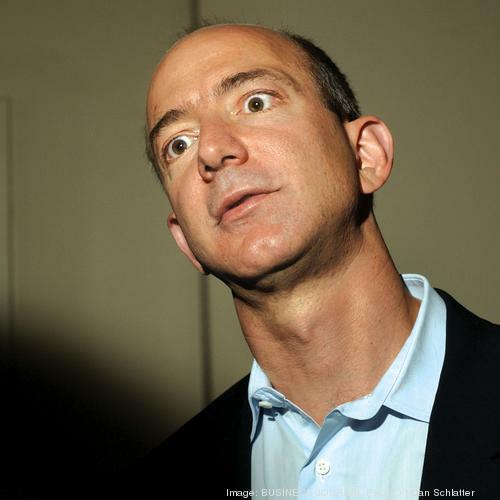 — Amazon is actually run by Satanists who actively seek the murder of children via abortions and vaccines. Keep reading to understand how vaccines are actually part of a global demonic / Satanic child sacrifice cult that’s now being pushed by Democrats, “progressives” and the evil tech giants. It is an irrefutable fact that abortion centers sell harvested baby organs to both biotech companies and vaccine manufacturers. Pharmaceutical companies use those aborted baby parts to grow large quantities of festering, disease-infected tissue mass that is homogenized, processed, filtered and added to vaccines that are injected into other children. [T]he Trump administration has just proven that the FDA has indeed been buying and using aborted baby parts for medical research. As it turns out, the federal agency quietly signed a contract to obtain “fresh” fetal tissue from a California non-profit called Advanced Bioscience Resources (ABR). The plan was to implant the aborted baby tissue into humanized mice for medical research — but the Trump administration has taken a stand by putting the kibosh on the FDA’s controversial contract. MRC-5 human cell lines, which were harvested from a 14-week fetus that was aborted from a mother with psychiatric problems. Beyond human cells, some vaccines are also formulated with African Green Monkey kidney cells that are infected with deadly viral strains, after which the monkey is murdered, organ harvested and “processed” into vaccine ingredients. There, the CDC openly admits that multiple vaccines are made with aborted human fetal tissue cell lines, as well as aborted animal parts (bovine blood serum). VARIVAX [Varicella Virus Vaccine Live] is a preparation of the Oka/Merck strain of live, attenuated varicella virus. The virus was initially obtained from a child with wild-type varicella, then introduced into human embryonic lung cell cultures, adapted to and propagated in embryonic guinea pig cell cultures and finally propagated in human diploid cell cultures (WI-38). Further passage of the virus for varicella vaccine was performed at Merck Research Laboratories (MRL) in human diploid cell cultures (MRC-5) that were free of adventitious agents. This live, attenuated varicella vaccine is a lyophilized preparation containing sucrose, phosphate, glutamate, and processed gelatin as stabilizers. There are FIVE different vaccines that contain human protein and DNA. One cell line was developed in September 1966 from lung tissue taken from a 14 week fetus aborted for psychiatric reasons from a 27 year old physically healthy woman. Another was derived from the lung tissue of a 3-month old aborted human female fetus. The vaccine package inserts do not specify the source of the human blood. However, this investigative report provides some clues. It’s not difficult to realize why Amazon won’t ban books that attempt to recruit teenagers into Satanism, even while banning books that educate parents about the dangers of vaccines. The reason is because Amazon and Jeff Bezos obviously worship Satan. Their agenda is an anti-human agenda to harm and murder as many children as possible. That’s why Amazon is pro-abortion, pro-vaccine and pro-Satanism. This position is also 100% aligned with Democrats, which have become Demoncrats in real life. That’s also why Whole Foods — now owned by Amazon — is pro-Monsanto and actively blocked a nationwide GMO labeling law effort. In fact, Whole Foods promised it would label everything it sells with its GMO content by 2018, but that promise was buried after Amazon acquired Whole Foods Market. Now, Whole Foods sells genetically-modified foods right in its own food bar, paying homage to human-altered seeds as a direct insult to God and Mother Nature. Soon, Amazon will actually start selling vaccines, as the company is about to launch a nationwide pharmaceutical / vaccine retail operation to compete with CVS and other retail pharmacies. Murdering babies in the name of Satanism (or vaccines) is all part of Amazon’s profit model, you see. Human sacrifice, child murder and the mass pollution of our world with GMOs, glyphosate and toxic pharmaceuticals is how Jeff Bezos proves his loyalty to Lucifer, the destroyer of humanity and the enemy of human life. Amazon, in essence, is now an enemy of humanity and is actively pursing an anti-human agenda, just like Google, YouTube, Pinterest and Twitter, led by Jack Dorsey, another Satanist who routinely bans Christian channels on Twitter. Do everything you can to stop purchasing products from Amazon.com. It’s difficult, since Amazon is putting all other retailers out of business, but one of the most effective ways to starve Amazon into eventual collapse is to simply stop giving them your money. At the same time, wake up and beg God to intervene, because our world is being utterly consumed by Satanists who are wholly sworn to carry out the complete destruction of humankind and anything that reflects the divinity of God (seeds, herbs, planet Earth, newborn children, enlightenment, etc. ).